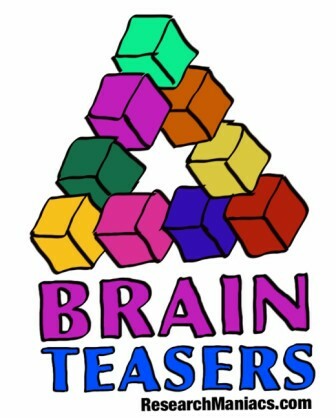 Enjoy our large collection of Brain Teasers and Riddles! If a rooster sits on the border of Kansas and Oklahoma, where would the egg drop? Nowhere, because roosters don't lay eggs! You'd have the two that you took. Because you'd need a camera! You can't take a picture with a sign! The blue man lives in the blue house and the red man lives in the red house. Who lives in the white house? Want to hear a cool construction joke?